Currently viewing the tag: "property portfolio"
The HMO Daddy – Jim Haliburton, is recording a free webinar training session for you, packed with solid content with real ‘meat’ from his paid workshops – all for FREE! If you haven’t registered your interest for Jim Haliburton’s online HMO Options training yet, then – Register Here! Jim then went on to write the best selling HMO property investment manual known as THE ‘HMO Bible’. Many of the big property investing names that you may have heard of that are around today have learned some great information and skills from Jim as well. Want To Get A Better Yield And ROI From Property? for property investors who want to get better yields and increased return on investment from their property investments. You may remember Jim from the Channel 4 TV programme “Meet The Landlords” where he showed the TV cameras inside a couple of his HMO units and didn’t shy away from revealing the struggles that some landlords face on a daily basis. Jim has always had a no nonsense approach and tells it like it is and he has agreed to provide a great deal of solid content with real ‘meat’ from his paid workshops – all for FREE! In this free online training, Jim will provide insight for those people who want to get started in property investing, as well as providing great information for those people who are already investing and wanting to know how to get a better Return On Investment (ROI) and higher yields from their property portfolios. West Yorkshire based portfolio of 86 properties that consists of 85 apartments and one house. They sold off the freeholds to all the developments a few years ago which is a shame as they have almost an entire block or two in the portfolio. The developers are looking to net £5.5 Million (GBP) or very close to. Fully let currently it generates some £447k (GBP) pa in income before ground rents and service charges. Opportunity in Liverpool for PBSA with Planning Permission for 140 units. There has also been a favourable nod from the council to increase to 284 units. Purchase Price: £1.75 Million (GBP) – as is – for the site with full planning permission as above. Site with full planning permission for new 6 storey building consisting of 122 student rooms in 22 clusters, 18 self contained flats and 1 retails unit with associated parking and landscaping. 42 units available made up of studios, 1 bed & 2 beds all fully let and 5 commercial units. The price also includes the freehold on the whole development. · Freehold of 120 including commercial units. · Total number of properties 47. · Lease 150 years from November 2007. Offers circa £620,000 (GBP) for 17 houses. All fully renovated to an excellent standard and local agents say the 2 beds would go for £50k and the 3 bed £60k. Only two minutes walk from the town centre. furnished apartments of which 13 are available to acquire. All current tenants are on 6 months AST’s. 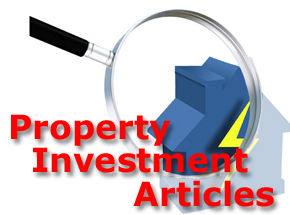 The Estimated Rental Value (ERV) is £400,000 (GBP) p.a. Approx. 2 acres with consent to erect 1, 2, 3 and 4 storey buildings comprising a) 95 bed Residential Care Facility b) 23 Sheltered Accommodation apartments c) 90 x children nursery d) 46 x children after school accommodation. 2. Randlay Centre, Randlay, Telford. Approx. 1.24 acres with consent for 72 bed care Home and 18 apartments. Listed building in poor state of repair with current planning for 14 apartments but owners are applying new consent for 40 bed Care Home plus two guest rooms and managers accommodation at the luxury end of the market. Set in own grounds. Currently owners in for planning for 9 houses and 13 apartments but essentially application made to establish to total approved square footage of 25,000. There is a demand locally for Care Home facilities and a waiting list. This square footage would translate into say 60-80 beds. Original planning was back in 2008, but was revised in 2013. Full planning is in place. Both properties cash purchasers only current market values £115K-£125 therefore both properties should cost £235,000 (GBP) MIN, time is of the essence and these properties will sell very quickly as both are tenanted and have been modernised. End plot spread across 3 stories including basement and attic space. Recently updated but minus a kitchen. 3 Rooms on the top floor. 2 reception rooms (open plan) on the first floor. Chicken Shop on ground floor fully fitted with £60,000 worth of equipment still under warrantee. Reason for selling, need to release some capital and previous business didn’t take off under franchise. Not to say it can’t be better managed in the future. An alternate route may be converting the commercial aspect to residential to produce a high returning flats / bedsits depending on the sort of tenant you’re likely to attract in the area. Sometimes property investors don’t fully realise why they need to attend property networking events, seminars, workshops and meetings, maybe it’s because they feel that they have nothing left to learn or they have become accustomed to doing everything themselves, or maybe they just want an easy life. But are there reasons why should property investors attend property networking events? What if you learned something at a property networking event that increased your property related income? What if you forged a new relationship at a property seminar that helped you with your current property portfolio? What if someone in a workshop answered a question to a property problem that has dogged you for ages? What if you had the chance, but didn’t take it? There are so many “what ifs” in life that cause us to take one path or another and very often, the one that’s chosen is usually the easiest way out. Don’t choose the easy way, challenge yourself to be a better property investor and do better this year than you were last year. We can all benefit from the people that we meet and opportunities that may present themselves, but having the courage to see them through can be another story, but it isn’t something that you have to do alone, there are like minded people out there that have similar experiences, greater understanding and enough contacts and power team players to be able to make property investment dreams a reality. If you’re looking to take advantage of the current Property Boom, and why wouldn’t you be, then here are some more reasons to attend a property networking event near you this month. Are there enough reasons listed above, can you add any more positive suggestions of your own? Option 2 – Take positive action and attend a local property networking event near you and change your life for the better! For the web’s most comprehensive listings of all UK property networking events – Click Here! Alternatively if you are unable to spare any time to get out and meet people then why not consider joining property investors on forums and chat rooms, there are a great many to choose from, however we get the most value from the PIN Academy where thousands of active property investors exchange valuable information, property deals, opportunities and experiences with other serious property people, try it for yourself today – Click Here! Join the PIN Academy Today and get together with like minded property people! This is a reminder about the free Property Time Bomb webinar tonight at 7pm with Simon Zutshi all about how you can avoid the property Time Bomb. If you would like to join Simon on this webinar all you need to do is Click Here and register your details and we will email you with the webinar joining instructions. If you are already a landlord then you need to listen to this webinar in which Simon is going to explain about the property time bomb that most investors are sitting on, and more important what you can do right now to make sure you are prepared and profit rather than lose out. Many property investors and landlords are blissfully ignorant of the potential property time bomb they are sitting on, so when we heard that Simon Zutshi is running a no cost webinar tonight – Tuesday 29th October 2013 at 7pm, all about what to do about this situation, we thought we really should let you know so that you have the opportunity to listen in to find out what Simon is doing right now to his portfolio to ensure that he maintains his high level of cash flow, and discover the various options open to you as property investors and landlords. If you would like to join Simon Zutshi on this webinar all you need to do is Click Here and register your details and you will be emailed with the webinar joining instructions, but you do need to act quickly as there are only a few places left on this webinar and attendance is limited to just 500, so we recommend you secure your place right now to find out how you can protect your cash flow. 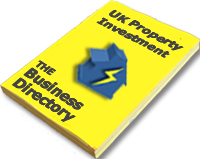 Are you a new or seasoned property investor looking to expand your property portfolio? Property investment across the world has changed over the last five years, gone are the days of same day purchase and re-mortgage, property investors can’t find No Money Down (NMD) deals and mortgage availability has been better. Since 2007 /8 when the effects of the economic crisis were first being felt, property investors across the UK became fearful over the subject of finance! Many property investors have been forced to face the dramatic changes in available property finance since the property crash, when decisions used to be based on providing ultra minimal information and excessive lending to the masses was the norm. In fact, confidence in property was so high that lots of mortgage lenders failed to carry out proper checks into affordability and individual earnings. The arrival of the financial crisis in 2008 saw banks and Governments realise the extent of the problems caused by irresponsible lending and the result was a global economic meltdown and the introduction of strict lending criteria to such an extent that even the most experienced investors were unable to obtain finance .